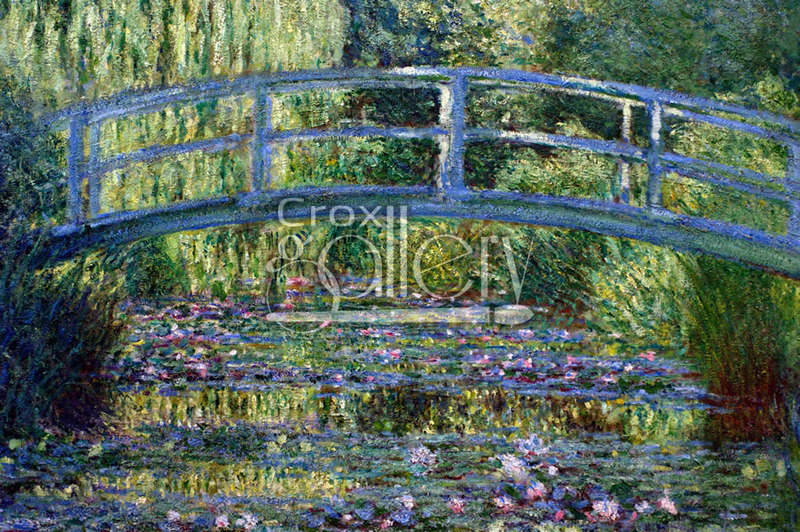 "Japanese Bridge" by Monet, Artwork Reproduction. 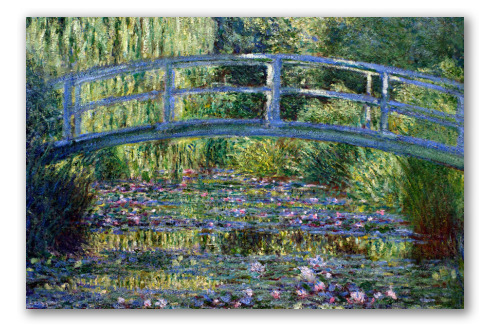 Impressionist masterpiece that shows a Japanese-style bridge with a marsh-like background in France. Originally painted by Claude Monet.